Marriages are considered to be made in Heaven and can’t be completed without blessings of the God. 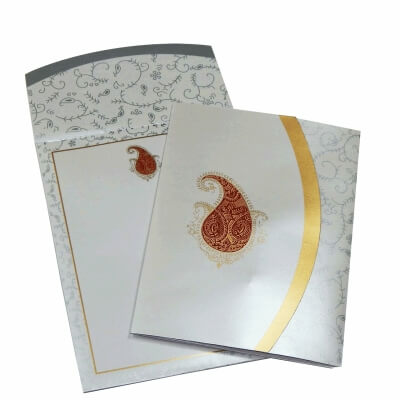 Religious wedding invitations cards are designed in a way to request presence of The god and several religious motifs and wordings are used for this. 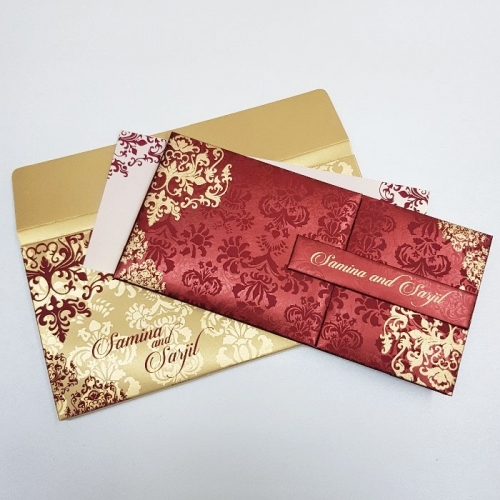 Hindu wedding cards are basically the invitations with religious motifs, wordings, pictures of the God and Goddesses, and other spiritual elements taking care of Hindu sentiments. 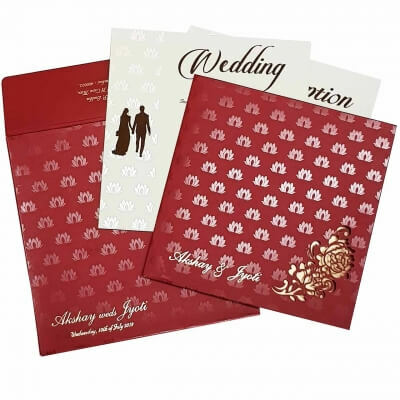 The Wedding Cards Online offer a wide range of designs and patterns of such invitations. 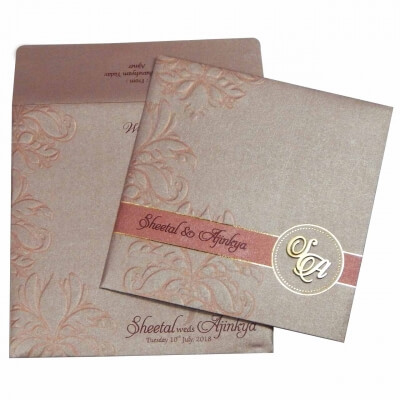 The invitation cards can be fully customized as per the beliefs and requirements. Marriage is significant moment for everyone and people dream for making it special. 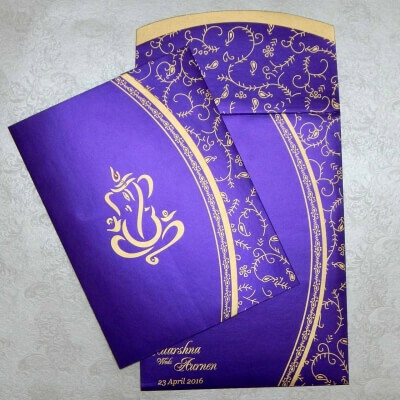 Weddings are valued separately in different communities & localities with different rituals accordingly. Hindu religion is one of the communities, mostly spread around the world and folks following this religion follow some common rituals irrespective of where they are in the world. 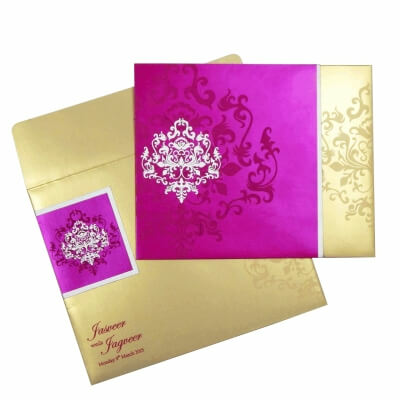 One of the traditions include getting perfect Hindu wedding cards designed. 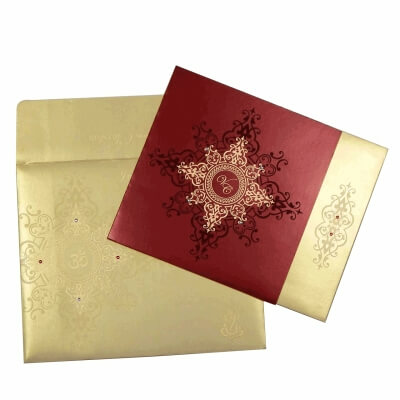 Wedding cards in hindu religion plays a vital role in overall ceremony as the society have been believing so from years. 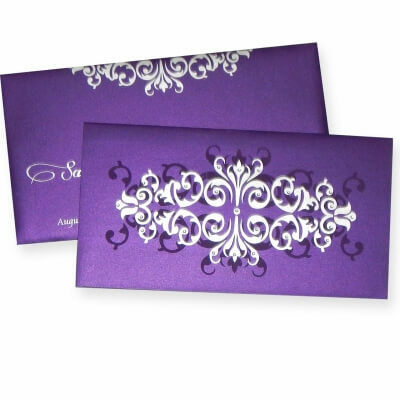 It acts like a medium to invite guests, friends, families, and others loving ones. 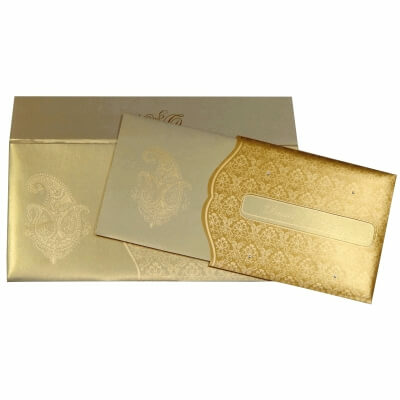 We offer an extensive range of Hindu wedding cards for every type of nuptial. The religion is known for different types of god and goddesses, which are considered and worshiped before every sacred event. 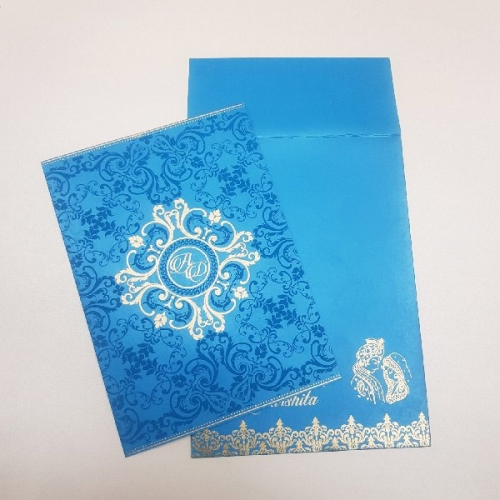 Same applies to invitation cards as well, where symbols like Swastik, Om, and Lord Ganesha are applied on the front of invitation in order to get the blessings. 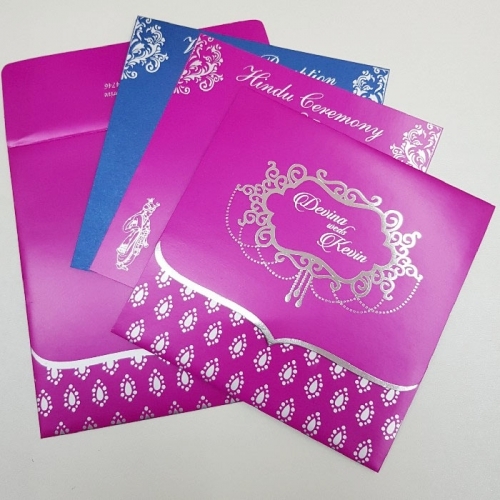 Other than this, there are several more elements making the Hindu wedding card different from other variants including the color combination, the use of wordings, paper type, inclusion of the names of god and goddesses, and others. 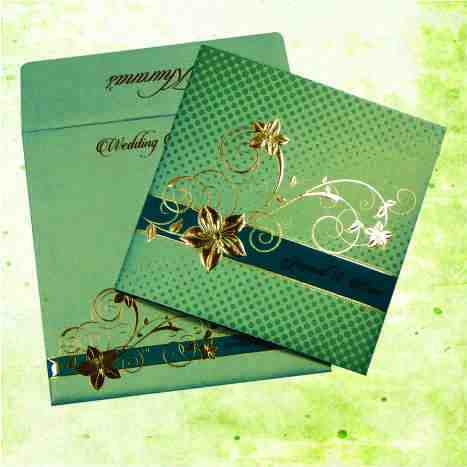 A wide variety of these all aspects can be found in our store, where Hindus can choose any type of Indian wedding cards according to their requirements and overall wedding theme. 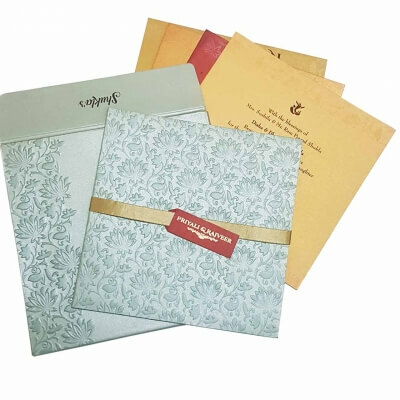 Explore our complete range of invitation cards for Hindu weddings and order your customized selection now.